WHY Moseley Fence? Our skilled in-house staff can construct the fence that fulfills any purpose. 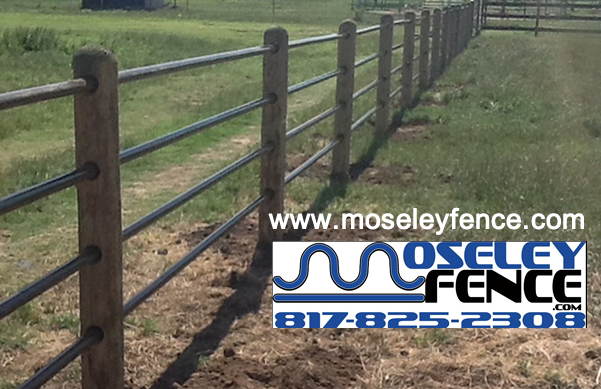 Moseley Fence inspects each job to ensure quality control and the best outcome. Our team works together and the final product is always beyond satisfactory. Residential Fence, Farm/Ranch Fencing, Gate Access Control and Commercial Fencing services in Jonhnson County. Our service area includes Crowley, Burleson, Cleburne, Alvarado, Keene, Joshua, Acton, Grandview, Glenrose, RioVista, Godley and the surrounding metroplex.